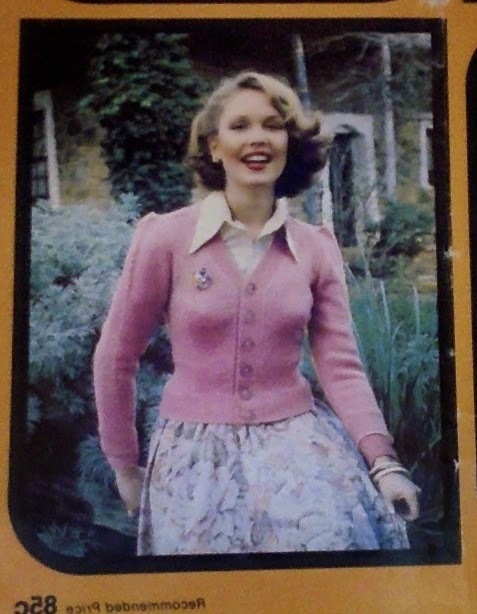 Completed - Vintage teal cardigan! 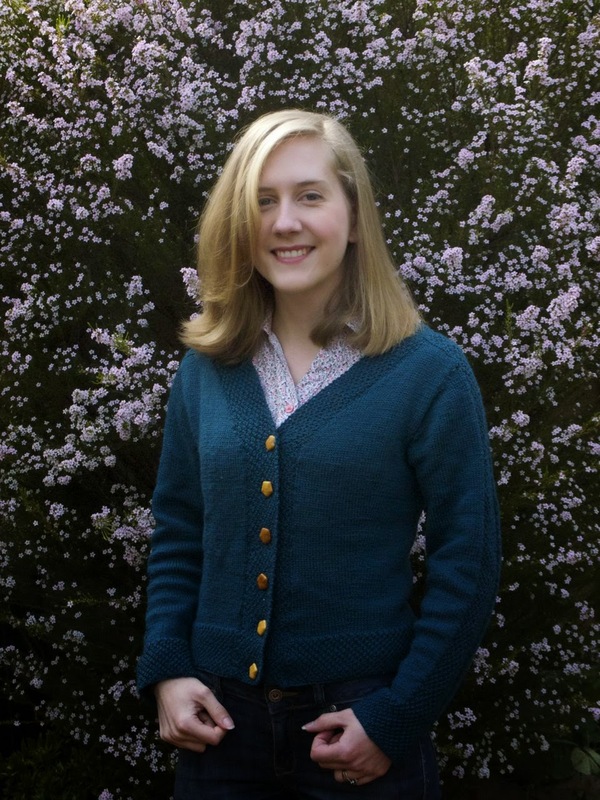 I have been working on this for some time now, but I am happy to present my new teal cardigan! 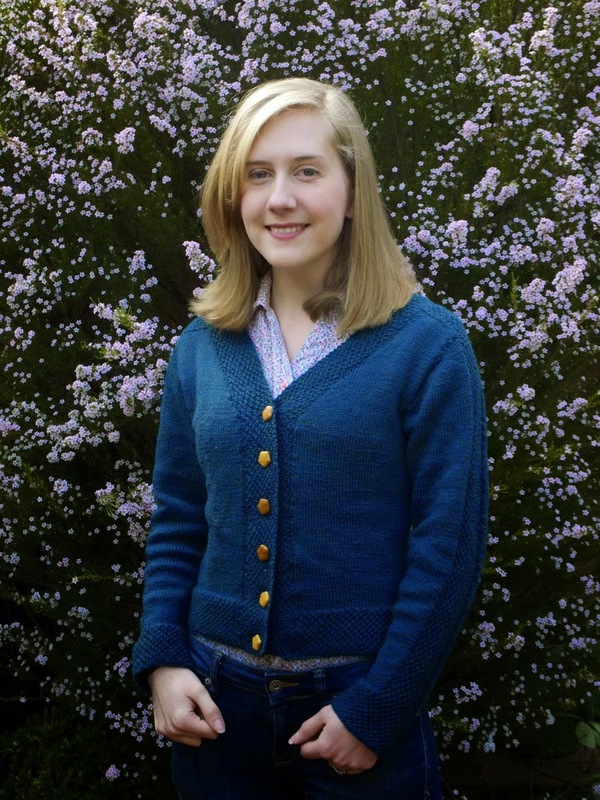 Wool: Bendigo Woollen Mills Classic 5ply in "Mallard"
It was written for Patons Bluebell yarn, which is a 5-ply. 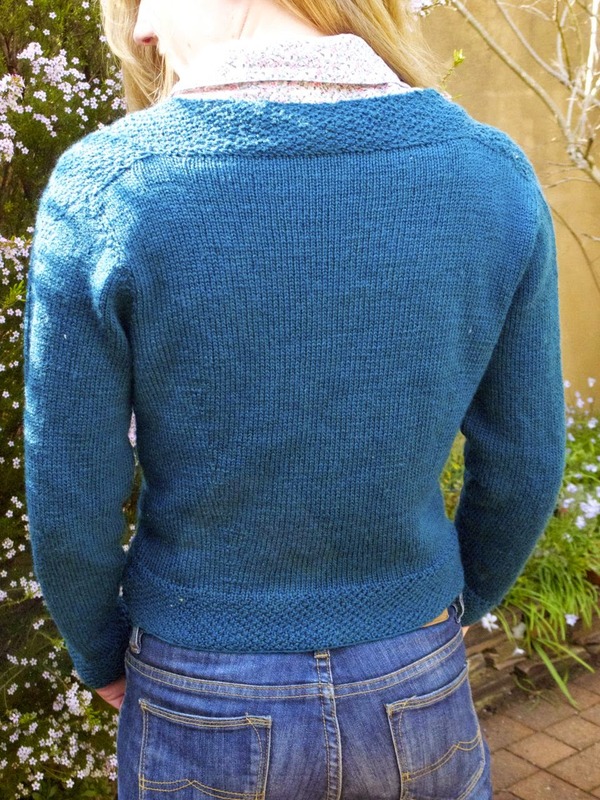 I think it's still available, but I had some Bendigo Woollen Mills Classic 5ply in my stash in a gorgeous jewel teal colour so I decided to use that! My only modification was to omit the pointy shoulders. They are achived by increasing on either side of the moss stitch band in the sleeve for a couple of inches, at the same time decreasing for the set-in sleeve. So I just didn't increase at the moss stitch band. 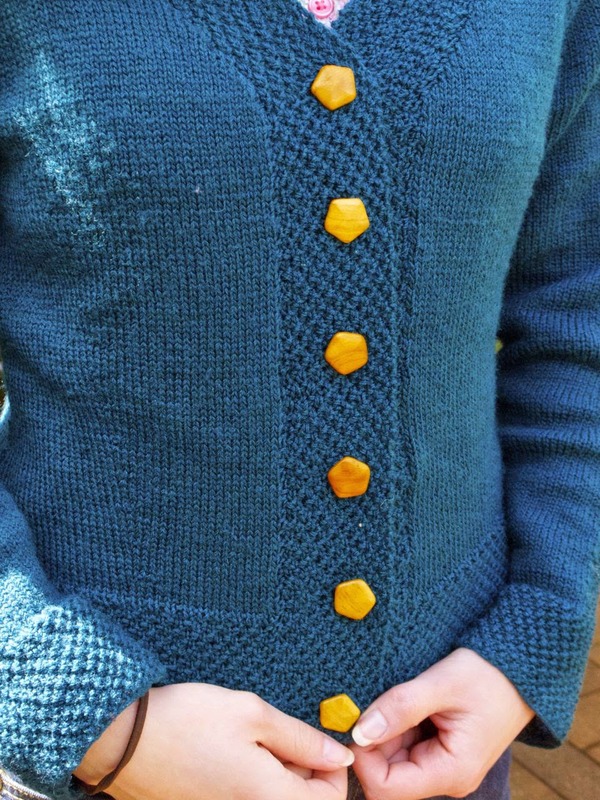 This cardigan is made on size 3.5mm needles in pieces. The body is plain stocking stitch but the edges are done in a lovely moss stitch pattern. This moss stitch band goes right up the sleeves and forms a saddle shoulder at the top. 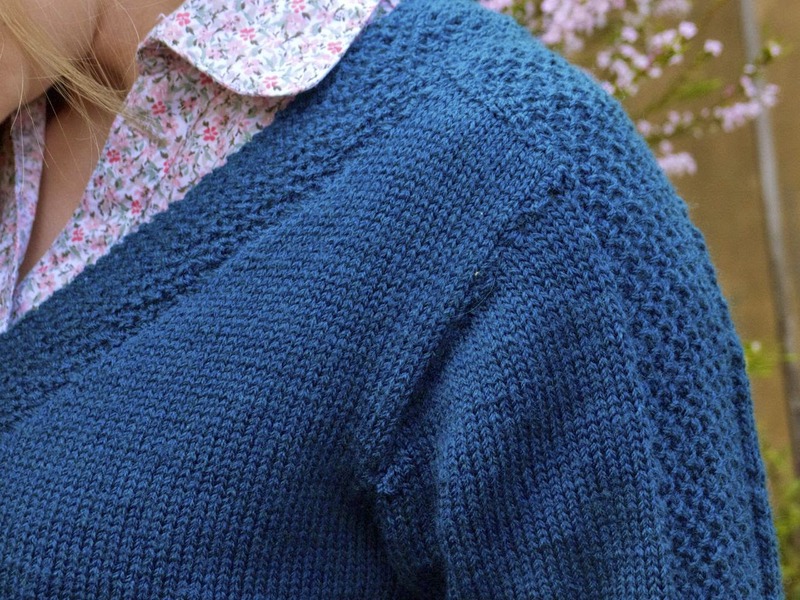 You can see clearly here how the moss stitch goes across the shoulder, continuing down the sleeves. Before blocking the whole thing felt a little itchy and coarse but after a good soak, it softened considerably and now feels super lightweight and comfortable. It's like a completely different fibre now! I chose 6 wooden pentagon buttons - aren't they cute! Back - as you can see it's not so fitted that it's uncomfortable. 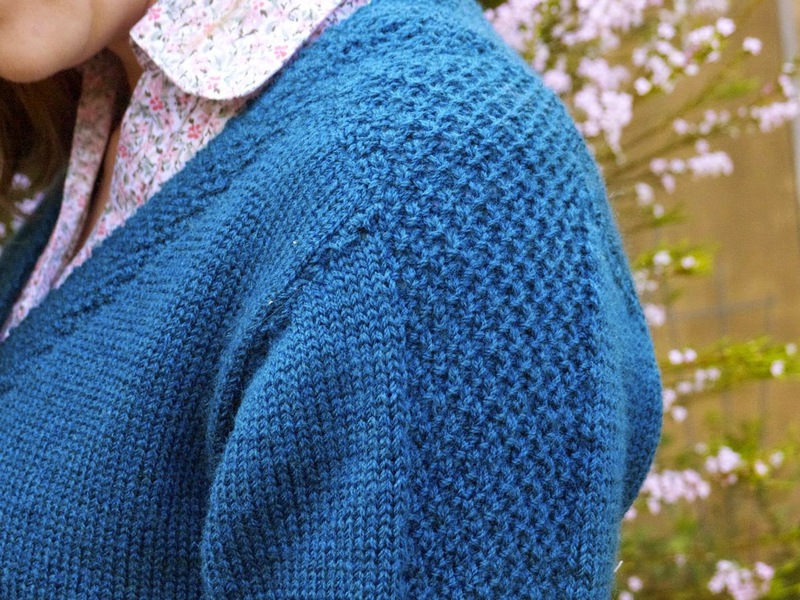 This took me quite a while to knit becaue of the relatively fine gauge and moss stitch pattern. But now I have it I'm practically wearing it constantly! What did I do without it? !